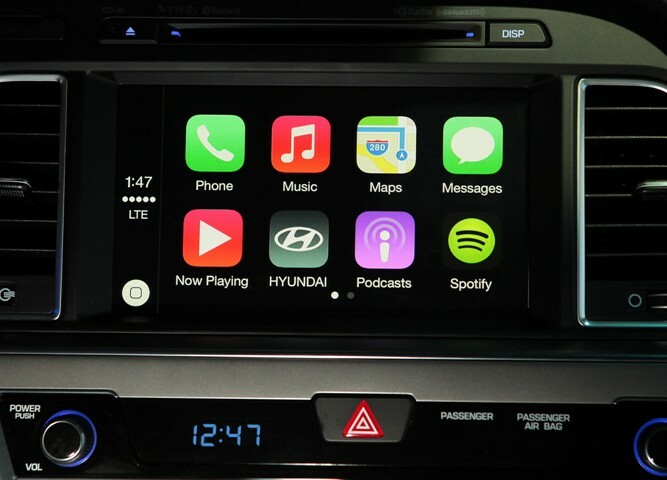 Speaking with the Detroit Free Press, Hyundai finally entered the spotlight, not to explain the delay in adding support for Apple’s CarPlay, but to announce that CarPlay will be available to Sonata owners in the first quarter of next year (via MacRumors). That’s roughly a year later than originally promised. The carmaker originally said back in April 2014 that it would equip all 2015 Sonata models with Apple’s CarPlay, which allows users make calls, use Maps, listen to music, and access messages. Back then Hyundai was proud to be one of the first volume manufacturers to embrace Apple’s operating system built for cars. Now, more than a year later, Hyundai says Sonata owners will have to buy an SD card with new software to get access to CarPlay, contradicting its earlier statements saying that the system would be available as a free download for customers who bought a properly equipped 2015 or 2016 Sonata midsize sedan. By the way, the carmaker hasn’t revealed the SD card’s pricing. Android Auto is already available for free in Hyundai Sonata 2015 vehicles.